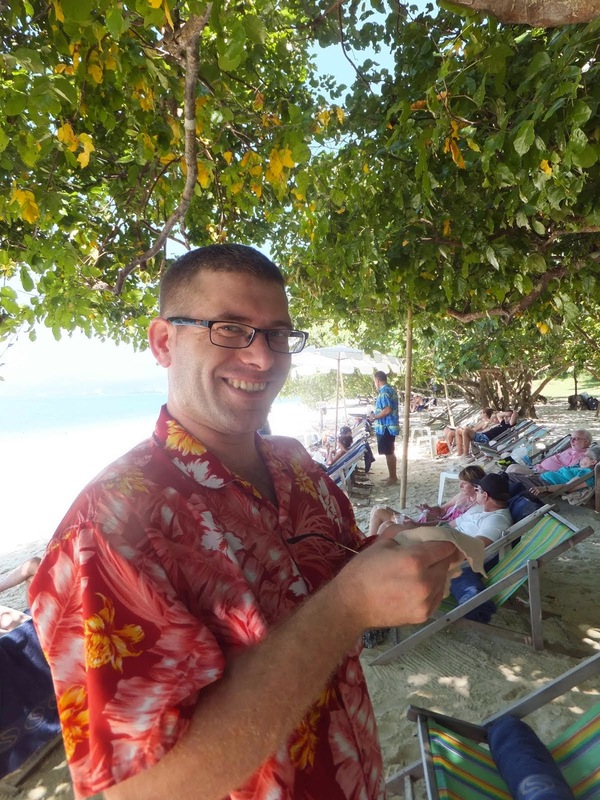 David Ellis is travelling, and this week fellow travel writer, Roderick Eime takes over his reins. IF good things come in small packages, then when it comes to luxury cruising, SeaDream Yacht Club knows exactly what it's all about. Launched just a couple of weeks before the calamitous events of 9/11, its founder, Norwegian-born entrepreneur Atle Brynestad, thought he was doomed. 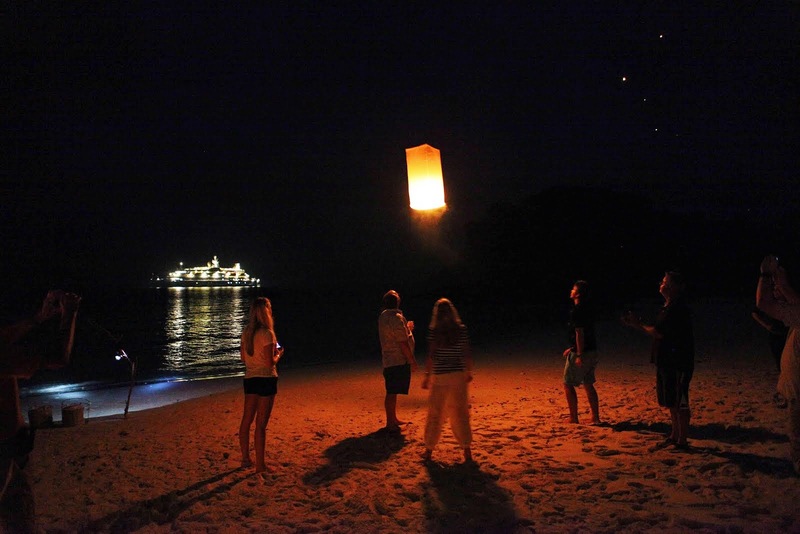 But against all predictions, not only did SeaDream Yacht Club survive, it flourished. 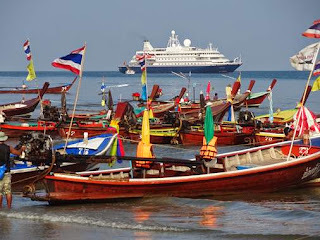 I've had my eye on these ships (whoops, 'yachts') for years and when their ground-breaking Asian itineraries were announced last year, I pounced. It was a calculated risk for the regular Mediterranean- and Caribbean-operating line, whose growing legion of repeat guests were asking for new playgrounds to explore. 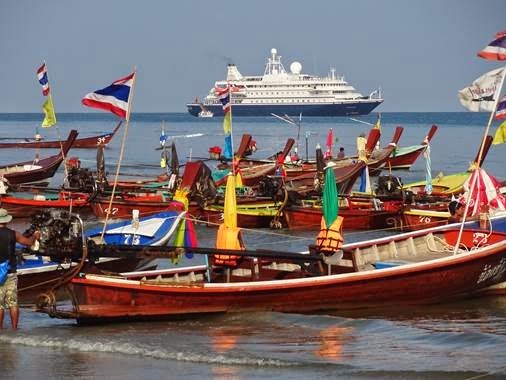 Long time onboard Club Director, Richard Jones, now Thailand-based Business Development Director Asia, joined the Asia-push, overseeing the 13 first-time itineraries that included ports as distant as Yangon, Singapore, Hong Kong, Phuket, Langkawi, Bali, Bangkok and Cairns. Constantly lauded by the cruise industry's independent arbiter, the Berlitz Guide, SeaDream has consistency ranked at or near the top of its tables for 'Boutique Ships' category – and against some pretty stiff competition. Chatting to repeat 'SeaDreamers,' many of whom count days aboard in the hundreds, they say it keeps coming back to service. Being treated like royalty with your every need predicted, but without being fawned-over or stifled. Our sommelier, Frank, a lively Hungarian with ten years with the company, would address we Australians cheerfully with 'How ya going mayte?" 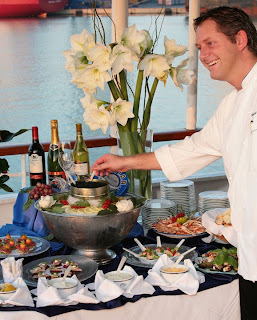 then proceed to elaborate on the salubrious wine list for the evening's fine dining menu in the main Deck 2 restaurant. But dining is not limited to Deck 2, and in the balmy evenings a pre-dinner G&T is a perfect prelude to a meal at Deck 5's al fresco Topside Restaurant. From there, it's but a meagre amble up to the Top of the Yacht Bar for outdoor nightcaps. There are three passenger decks on SeaDream with pricing working upward from Deck 2, but honestly, unless you've opted for one of the suites (and there are just two,) there is little difference except for staterooms on Deck 2 having twin portholes, and all others picture windows. The two suites are the Owners and the Admiral; all 54 others (called Yacht Club Staterooms) are identical, except for those portholes on Deck 2, and with some having inter-connecting internal doors. Another favourite of repeat guests was the all-inclusive beverages. Super quality wines, aperitifs and spirits are there for the asking. Okay, if you want Dom Pérignon, there's a surcharge but the included drinks would satisfy most discerning tastes and many a late night was had at the Top of the Yacht Bar in entertaining company. SeaDream might sound like it's only for well-heeled seniors, but on my sailing most passengers were middle-aged or older couples, some with young adult families enjoying true luxury time together. For active types 'water toys' included Jet Skis, kayaks, Hobie Cats and others, and there was a 30-course golf simulator. To find fault with this well-oiled offering is to appear churlish, but if pressed I would say the bathrooms are a bit tight (especially if you've been enjoying the cuisine) and simple, included shore excursions would be nice, such as city walks led by crew or staff members. The excursions on my itinerary were add-ons ranging from Shwedegon Pagoda ($49) to Bagan by air ($795.) The only included tour was a tender visit to the Sea Gypsy village. Voyages are typically seven days, some 10 to 14, and with early-booking discounts. SeaDream II is now in the Mediterranean for its Northern Summer season to October, and specialist cruise-holiday travel agency, Cruise Express has some exceptional prices during this time – for example seven nights from Athens to Rome in October with inclusions detailed above, six ports in Greece and Italy, plus historic Corinth Canal and viewing volcanic Mt Stromboli, starts from US$4726pp twin-share.